Your all-in-one solution, from import to billing. Running your NEMT agency can be challenging. With so many working parts, finding a software solution that simplifies intake, streamlines communication, makes scheduling easy and efficient and collects data to report on is imperative. At ParaPlan, we’ve been working one-on-one with NEMT agencies since 1999. We understand the industry inside and out, and our all-in-one cloud-based software solution was designed to meet every need along a trip’s life. Use ParaPlan’s Smart Search to find the exact rider you need quickly. Each upcoming reservation is displayed in the sidebar for quick access. See each rider’s entire historical snapshot, special needs and funding sources instantly. Never miss anything again. ParaPlan is intuitive, and it’s built with dispatchers in mind. Easily lay out routes, then drag and drop trips. Or, add the auto-scheduling module and let ParaPlan do the hard work for you. Our Dispatch View is interactive and easy to follow. Trips change color as they are dispatched, picked up and dropped off to give dispatchers a quick way to assess the status of trips in progress. Easily select groups of trips, sort the list and apply powerful filters to see what you need, when you need it. 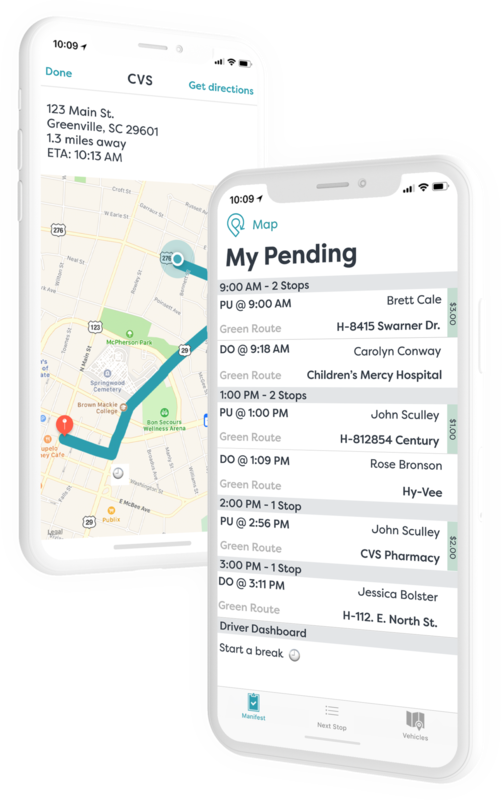 Your drivers can perform their trips paper-free with an easy-to-use app that keeps them focused on the road. ParaPlan is built on Microsoft SQL Server. Our reporting services place that power into your hands. See your ridership, operational trends, billing and funding stream data in seconds. Gain insight with on-time reporting, then save time preparing NTD and FTA reports because we’ve already done them for you. With a few pieces of information, we’ll provide you with a pressure-free quote in a few hours. If you decide ParaPlan is the right fit for your Paratransit business, your first 30 days are free.